Mike's Super Market first opened its doors in 1975 under the operation of current owners, Mike and Dianne Guth. Since then, Mike's Super Market has gone through several changes and updates to keep up with the times. While the store has seen major additions through construction, new freezers and coolers, computerization and added parking space since opening, Mike's Super Market is still heavily rooted in tradition and dedication to customer service. Mike's Super Market's employees have always assisted customers to their cars with groceries and the store has never required a savings or store card for customer benefits. No matter what technological and spatial changes Mike's Super Market endures, the owners and staff will always be dedicated to helping you have a better experience at the grocery store. Mike's Super Market is dedicated to helping the community of Brookville, Pennsylvania. From donations to discounts, Mike's Super Market offers a wide variety of benefits and support to area non-profit organizations and churches. 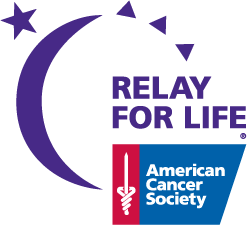 Every year, Mike's Super Market raises money to support Relay for Life by offering a hot dog, chips and soda to customers for a dollar and then matching the the total customer donation. Mike's Super Market allows area organizations to raise funding in our store. Are you a part of an local organization you think we should support? Let us know!